Did you know Nate the Great has a cousin? Olivia lives in a penthouse in San Francisco and has two rooms: one to be herself in, the other to be an Agents of Secrets. She helps people solve their problems and keep their secrets. Today, she's helping Duncan find his lost best friend. Maybe money can solve it? 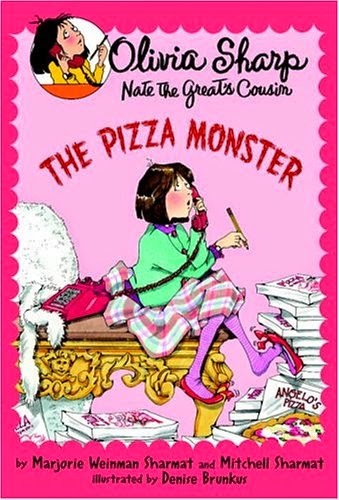 Rather disappointing for Nate the Great's cousin... She isn't actually, technically, a detective; she tries to solve problems with money or various other solutions until one of them finally works. Lame, right? It is the next level up from Nate the Great, though, with the story broken up into chapters. But still. I think there's a reason only four books were written for this series.